On to the important things: The procession led the family and the other pilgrims from the Cathédrale Notre-Dame de Luxembourg via the rue Notre-Dame, the rue Philippe II, the avenue de la Porte-Neuve, the rue Beaumont, the rue des Capucins, the Grand-rue, the rue du Marché-aux-Herbes, the rue de l'Eau back to the Cathédrale. 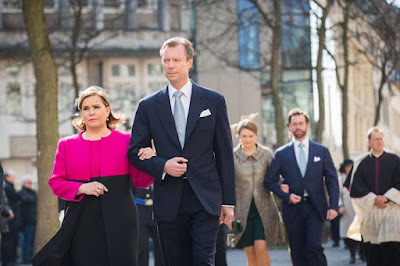 As this year was a special Octave celebrations which marks the aforementioned 350th anniversary, the Pope was represented by a papal legate, Cardinal Rainer Maria Woelki, Archbishop of Cologne. He and Luxembourgish Archbishop Jean-Claude Hollerich were joined by Apostolic Nuncio in Luxembourg, Giacinto Berloco, as well as the (Arch-)Bishops of Strasbourg, Cashel & Emly, Banja Luka, Aachen and Bucharest. 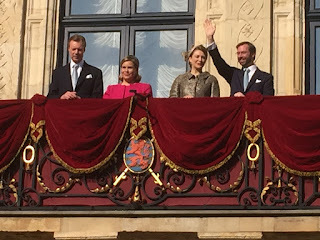 After the end of the procession and the final blessing at the Cathédrale, the members of the Grand Ducal Family made their way back to the palais by foot for their formerly only Balcony appearance of the year. 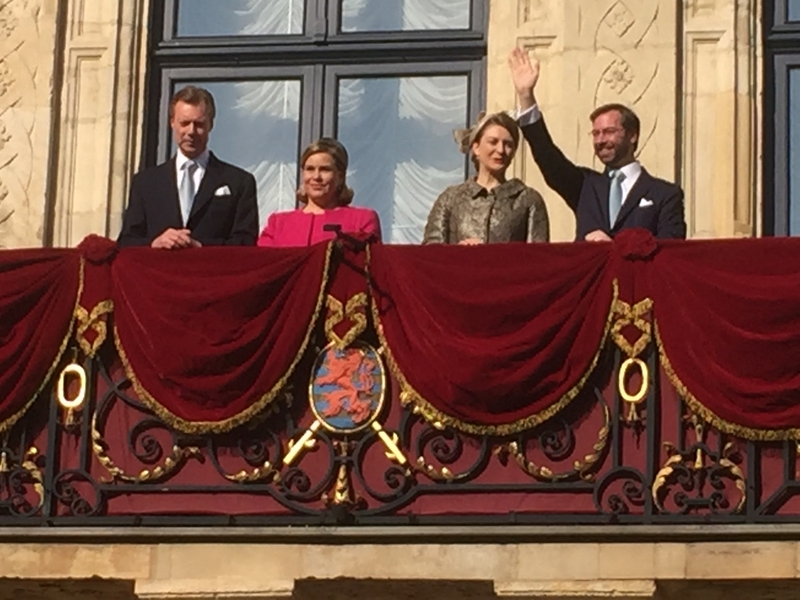 (They did one at national day last year, too) The award for most avid waver (as in person who waves the most) this year - as in basically all years - goes to Hereditary Grand Duke Guillaume. Maybe he can use that ability to signal some photographers to take pictures of him and his wife during their upcoming travels to China. That'd be much appreciated! But before we had to the next trade mission, here are a few handy picture links with visuals of the day: Wort and RTL. In addition there is a video at RTL.